Sleeping area on the Mezzanine. You can park on SMG side of the drive and in front of the units as long as you are around to move the car if necessary. The signs are to stop others parking on SMG's side of the driveway. To receive an invite login to your profile and select attending! Invites will be emailed out and we will let everyone know when they have gone out. 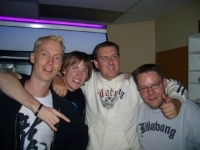 Are you attending the LAN with friends? If you would like to sit together make sure you and your friends have the same group selected. Once you have received your invite please pay promptly. No payment on the day. The seating plan will stay the same as last Lan until I have a better idea of who is coming and then I will change it to suit. 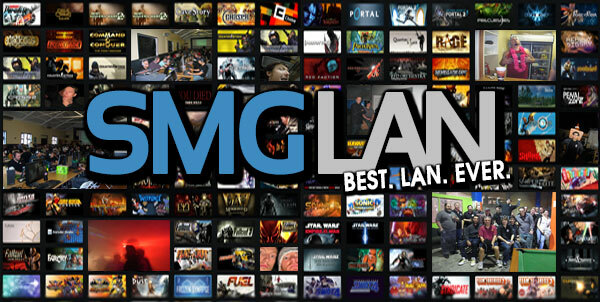 SMG Lan is a group of communities and friends who get together a couple times a year for a rollercoaster ride of gaming and socializing. SMG Lan focus is on the social aspect of gaming. Competitive but fun competitions! Social events run alongside the Lan like Go Kart Raccing, shooting at the Hand Gun Club or Paint ball session and the all important BBQ's are a major part of the Lan. Internet email, mesenger and some games that require internet can be played online. This is a R18 and Invite only event. Register for a invite. Make sure your mates are paid ! Make sure your Games are up to date the day before the Lan please! PC, LCD (NO CRT's), mouse, keyboard, headphones, power cables, power multi box and Sleeping bag and Mat/stretcher. ONLY YOUR PC IS TO PLUG INTO THE NETWORK!. Ask Smeg or Brave Warrior to plug anything else in! No Downloading on line Turn off your online file sharing app's.